Weeks 12 and 13 of the 2013-2014 Alderleaf Wilderness Certification Program (AWCP) included classes on wild-wood friction fires, water-based herbal medicines and an exciting day of survival & naturalist challenges. 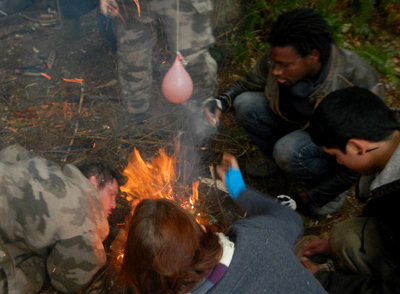 The advanced fire skills were broken up into two days: wild wood bow drills and hand drill fire making. During the day on wild wood bow drills, students harvested all natural kits from the forest and used them to create a fire. In the moist conditions of the Pacific Northwest, this is much more challenging than you might guess! It takes perseverance and persistence, and not to mention lots of practice. This is what success looks like (see photo below): making glowing coals that can be placed into a tinder bundle and turned into fire. 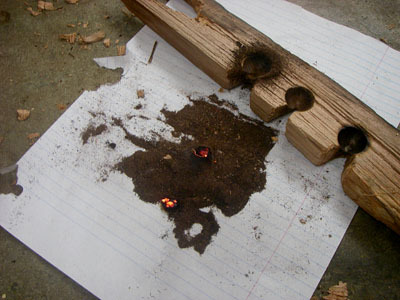 The second fire day was focused on making fire using the hand drill method. 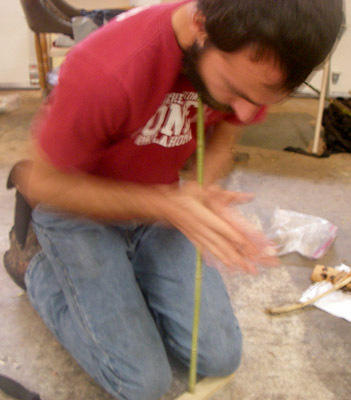 This deceptively simple method requires only two pieces of wood to work. You need a spindle (a dead and dry stalk of a plant or tree), that is straight, relatively long (one to three feet in length), and about as big around as your pinky. You also need a fire board of similar hardness to that spindle. Here is what the form looks like in action. 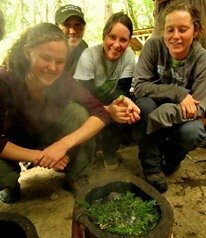 On another day, students spent time learning from ethnobotany instructor Heather. 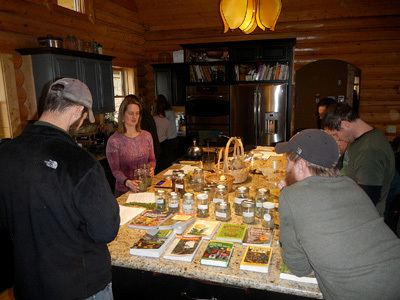 They learned about how to make infusions and decoctions using hot water to extract the medicinal properties of wild herbs. 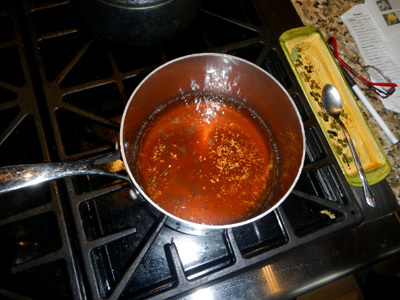 Here, the class is boiling an herb to create a decoction. This method really concentrates the medicinal properties, and medicinal decoctions are generally used in moderation. 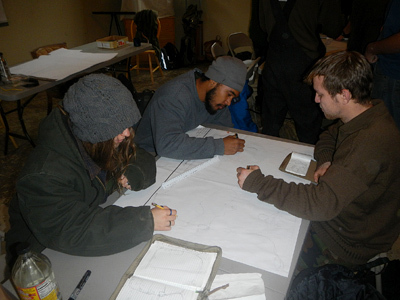 Our final class day in December was a day filled with survival and naturalist challenges. This included students in small groups competing in several events. The events included a timed plant identification challenge and making an accurate map of the property in only an hour. You can see by the focused faces of these students that this was serious business. Groups also competed in a fire challenge that required them to pop a balloon full of water with only fire made by friction. Though competition was tough, it was all for fun. Here is one group working hectically to make their fire grow. Here another group’s fire is already licking the side of the balloon. 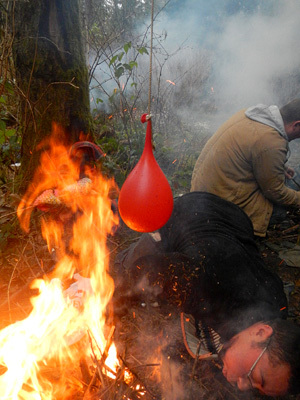 Just because the fire touches the balloon, does not mean it will pop. It requires sustained contact with the flames. This is where the challenge really lays. Everyone enjoyed the fun, practice, and review, and left for the holidays ready for more!